WF Gordon Forklifts in Melbourne, is one of Victoria’s biggest and most reliable distributors of forklift trucks. The company has been operating in Melbourne for many years, and distributes a wide array of forklift attachments and spare parts. Whether your forklift needs replacement parts and repairs, or needs to improve functionality with specific forklift attachments, WF Gordon has some of the best and most useful forklift attachments in the market. Call on 0412 653 765 if you are looking for a forklift mast or forklift tines/ forklift tynes. If you are looking for a replacement Used Forklift then be sure to check out our online used forklift catalog, for a portfolio of the best and most conditioned forklift vehicles that are to be distributed to the market. You will find a wide range of forklift sizes and forklift dimensions for all needs. The most common forklift attachments that are sold to the market are the sideshift, the fork grabs and the sideshifting fork positioners, forklift tines and forklift masts. Other commonly purchased forklift attachments available from Gordon Forklifts Melbourne are the rotators, which consist of the 180 degrees and 360 degrees types, and the clamps, which consist of the bale, the carton and the whitegoods. Many forklift users and operators know the advantage of having such accessories when they use their vehicles. These forklift attachments further make the usefulness of the vehicles more advanced and more highly reliable. 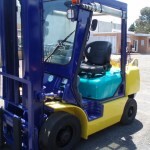 Another key feature of such forklift attachments is that they are easily attachable and are perfectly fit to connect and attach to whatever type of forklifts. At Gordon Forklifts Melbourne, it is made sure that these forklift attachments are as good and as reliable as the vehicles they would be attached to. That is why forklift attachments bought from Gordon Forklifts Melbourne looks and feels like they are actual or original parts of the forklift trucks. 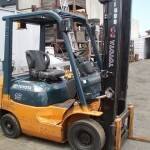 There are other kinds of forklift attachments that are sold to the market by WF Gordon Forklifts Melbourne. These forklift attachments include drum handlers, container ramps, dump bins, slippers and carpet poles. Take note that attaching these forklift attachments would modify and obviously broaden the main and general functions of the general forklift trucks. Also available at Gordon Forklifts Melbourne are material handling jibs, which can also be considered as relevant and useful forklift attachments. These handling jibs include the two jibs, the tilt arm jibs, the battery removal jibs and the different sizes of fixed arm jibs. Raise the usefulness of your forklift trucks. Acquire forklift attachments now and maximize the overall purpose and functionality of your forklift vehicles. Call John at WF Gordon Forklifts today on tel:0412653765 with all your forklift questions and receive expert advice and product knowledge for your used forklift.